An unique masterwork of mysterious dark and droney sounds! Less rhythmic than previous efforts, From Shadows Sleep sees Rapoon visiting ancient temples, moving between shadowy labyrinths of meticulous drones, echoed tones and distant rumblings, building a hypnotic sonic ritual that brings traces from a distant past in form of atmospheric, spiritual mantras of a possessive power. Ominous and bleak, yet wondrous, Robin Storey’s trance-inducing soundscapes swirls around majestic droning tape loops, patterns, ethnic samples (especially tablas) and other secret devices masterfully arranged to mesmerize the listener. There’s no light in here – you will be guided by Rapoon’s brooding and extremely detailed sonic imagery. Some bits of these recordings were initially conceived during the urban riots of the Thatcher years in Great Britain and were wisely put to rest until now. As Mr. Storey says, “From Shadows Sleep refers to the fact that the music hibernates in shadows, unformed until it is heard as if in sleep and visits one aspect of the creative process in particular: the idea that a piece is never finished. Taking elements from old recordings and adding new material I have tried to re-visit old spaces with fresh ears and a contemporary take on old sounds. Rediscovering for myself an interaction with the sounds that are essentially lost after the creative process is ‘finished'”. Robin Storey is a founding member and the real creative force behind the legendary, influential experimental collective :zoviet*france: and has been actively recording and performing for more than 30 years – since 1992 under the Rapoon banner –, always keeping an extraordinarily high quality control based in his very own trademark – the creation of mesmerizing ethnic based soundscapes. 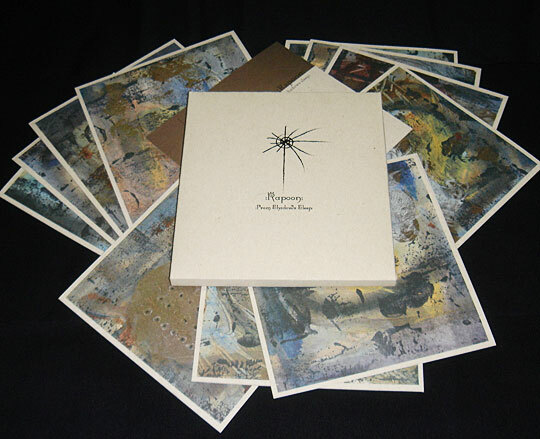 We are pleased to offer the album housed in an old-fashioned letterpress embossed mini-box packaging with a set of cards printed on quality recycled paper stock showcasing 11 exclusive paintings by Robin Storey! 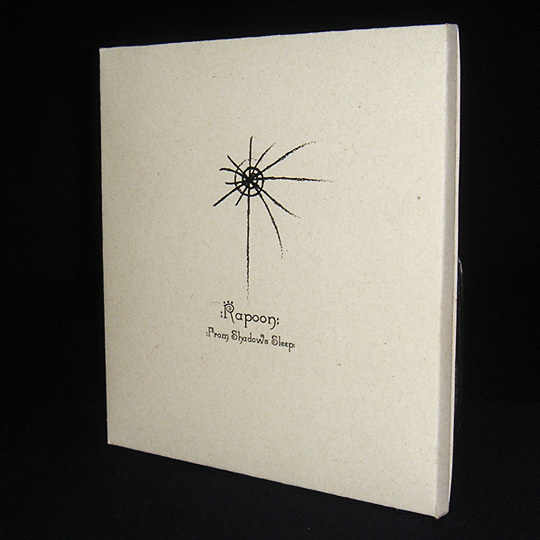 Limited edition of 800 copies. Music and paintings by Robin Storey.